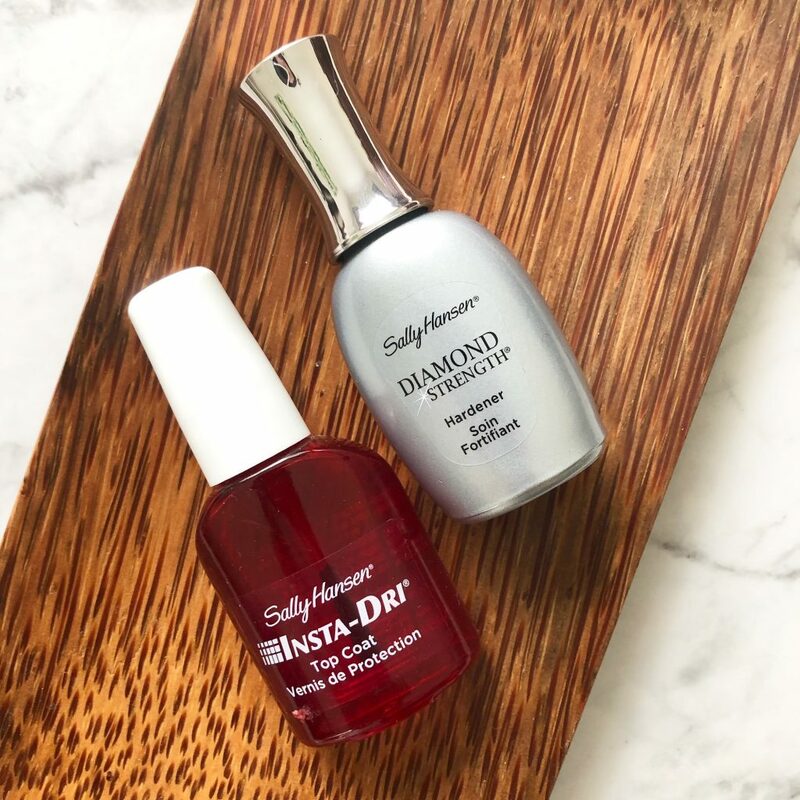 Two products which have become firm favourites in my nail kit are the Sally Hansen Insta-Dri Top Coat and the Diamond Strength Hardener. I discovered the Insta-Dri Top Coat when I was watching one of Hey Claire’s YouTube vlogs one day. She was doing her nails and recommended this top coat to help speed up drying time of your nails. 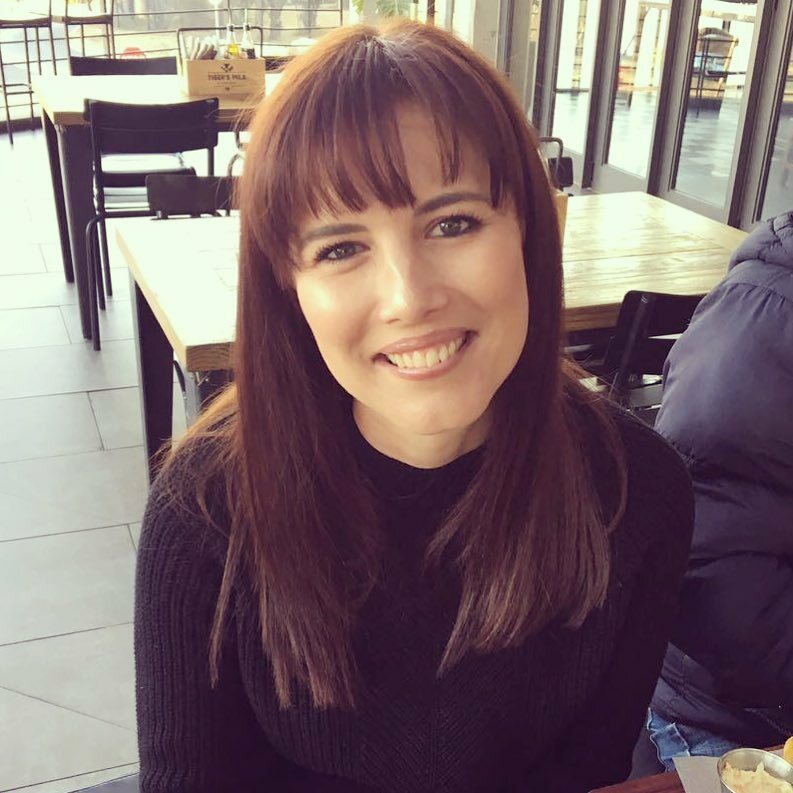 I am incredibly impatient when it comes to my nails drying, so I am always looking for something that can speed things up for me. I picked this top coat up at Dischem on one of the sales and tried it out one night while doing my nails. It definitely speeds up drying time and leaves a nice glossy finish on my nails. I often paint my nails at night while watching TV or reading before bed so I need something that can “set” them before I switch the lights off. This top coat is an acrylic polymer top coat which hardens and dries any nail colour. It also has double UV filters which help keep nail colour fresh. It dries your nails in 60 seconds. It has a thicker brush so you can coat your nail with the product in one sweep. It also protects your nail colour from chipping. I paid R54 on sale but it usually costs around R102. I’ve struggled to get it the last while so not sure if it’s selling out or if the stock doesn’t come into stores regularly. It’s definitely a great product! The Diamond Strength Hardener was actually a recommendation from my mom. She and I both love having gelish manis but our nails take a beating and once the gelish is removed our nails are left feeling soft and they peel. My mom was looking for a new product to try out and she chose this Diamond Strength Hardener. She used it a few times and raved about how her nails had improved and were growing again. I had a gelish mani removed earlier this year and the lady was a little too rough with my nails so they ended up being very weak and paper thin. I decided to try this hardener that my mom couldn’t stop raving about and picked one up at Dischem (thanks to my Dischem points and Discovery Miles). I used it and could also see a change in my nails quite early on! My nails started growing again and they were harder and felt stronger. This hardener ends cracking, splitting and peeling while locking in moisture to nourish nails and stop breaking. It’s Titanium and Micro-Diamond formula instantly bonds to strengthen and seal fragile nail layers with a virtually shatterproof, protective shield. Noticeably harder, stronger nails instantly and start growing healthy-looking nails in 5 to 7 days. This product costs around R125 and is worth every penny, especially if you have weak nails like mine and are looking for a base coat to help strengthen them. These are two products that now form part or my – and my mom’s – weekly nail care routine. My mom is currently running low on the hardener and has asked me to pick some up for her while she is away 🙂 They really are worth getting and keeping in your kit.